Everyone knows that heat rises, which can create some pretty nasty issues when it comes to your home’s climate. All the heat that enters your home, either from outside it or as the result of running a heating system, will travel up through it and collect in the attic. The attic is pretty well insulated, usually, which means that it collects all of that heat and keeps your home warm. This is a good thing during the winter, but during the summer it can be brutal. You don’t need to be in the attic itself to feel the effects of all that heat being trapped above your head. Your air conditioning system will have to work harder to cool your home, and it will take you longer to cool off. That’s why it’s a good idea to have an attic fan installed in your attic. An attic fan will provide an outlet for all of that heat that rises through your home into the attic. Just turn it on, and it will proceed to vent all that collected heat out of the home. This will keep your home cooler, allow your air conditioner to operate more efficiently, and make it easier for you to stay comfortable. 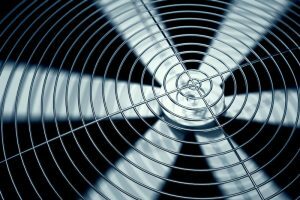 Attic fans typically don’t take a lot of energy to run, but when they’re needed they are typically used for long hours during the day. Using your fan that frequently can start to add up in terms of cost, which is why you might want to have a solar attic fan installed in your home. A solar attic fan is able to keep your attic, and the rest of your home, cool without causing your monthly energy bills to rise at the same time. This will ensure that all savings you get from using the attic fan will go back into your pocket, instead of going towards keeping the fan operating. If this sounds like a good investment for your home, you should contact a professional contractor you trust to see about scheduling an installation appointment. You’ll be glad you did. Douglas Cooling & Heating offers a full range of solar attic fan installation services in Birmingham, AL. If you need an attic fan installed in your home, contact us today to schedule an appointment with one of our professional technicians.